Learn how you can score free delivery from your local grocery stores. 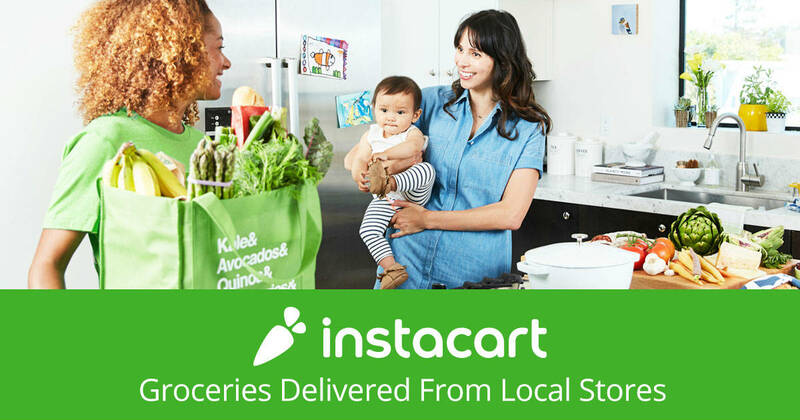 Score FREE grocery delivery from Instacart. Sign up for an Express Membership 14 day free trial - you're not limited to how many times you can get your groceries delivered during this time. Deliveries are same day and they even have exclusive coupons on hundreds of items. I can't say enough good things about Instcart. I've gotten my groceries delivered when I was sick, too busy during the week to shop and while on vacation. I have had a lot of success with the Instacart shoppers that have shopped and delivered my groceries - always on time and friendly.